SUPERMARKET giant Woolworths has admitted that brightly coloured packs of dog biscuits have inadvertently found their way to the snack food aisle and into the hands of children. The grocer apologised today after a Sydney mum accidentally fed her children the pet food thinking the biscuits were aimed at kids. Although Woolworths has confirmed a single occurrence of the pet treat being stocked among the human snacks, it appears to be a far more regular occurrence with pictures emerging of the offending dog biscuits stocked far from the pet food aisle. On Monday, news.com.au reported on parent Tania Toomey who fumed at Woolworths after she bought a pack of Scooby Snacks branded dog biscuits. While the packs of choc friendly carob dog food did state they were for pets, Ms Toomey said the writing was easy to miss and claimed they were stocked next to the Arnott's Tiny Teddies. "I put in lunch boxes and kids came home that afternoon and said 'yuck they are disgusting," she wrote on Woolworths' Facebook page. "On closer inspection they are DOG treats. It does say that it is pet food only - human friendly but not recommended! BE CAREFUL the store is much disorganised." Adding to the confusion of customers, a completely separate but very similar looking Scooby Doo branded product, that is suitable for human consumption., is also stocked at Woolies. Woolworths insisted that as a pet food product, Scooby Snacks should only have been stocked in the pet food aisle. 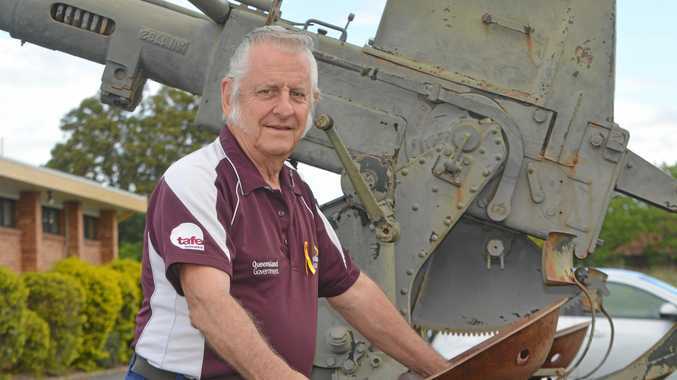 But on Tuesday, a Woolworths spokeswoman admitted a mix up had indeed occurred. "Woolworths can confirm that a single packet of Scooby Snacks dog biscuits was accidentally placed in the biscuit aisle at the Woolworths North Strathfield store last week and subsequently purchased by a customer. "We can confirm that the product is stocked as intended in the pet food aisle in the stores where it's sold, with the product marked as 'Pet Food Only'. The spokeswoman said Woolworths apologised to the customer for the confusion. 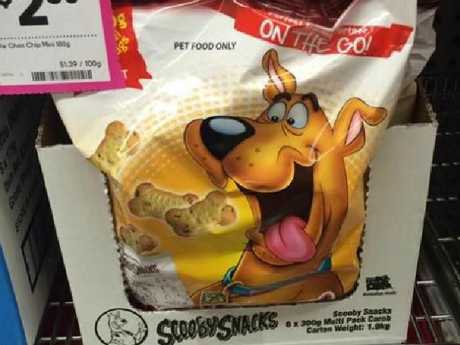 However, numerous shoppers have now said the gaudily packed pet treats - which feature a cartoon of Scooby Doo's side kick Shaggy - have cropped up in supermarkets up and down Australia. A father-of-two, from the northern beaches in Sydney, made the same mistake last year, buying the snack for his two young boys. He told news.com.au that the dog treats were incorrectly placed in the snack aisle of his local Woolies and he grabbed quickly them without looking at the packet. Meanwhile, an image has emerged of a whole carton of Scooby Snacks dog food clearly pictured next to, yup, Tiny Teddies. Posting on Woolworths' Facebook page in July, shopper Dave Woolf said he'd seen the misplaced pet food in a store in Victoria. His attention was drawn to them by a mum who let her child choose a snack. The kid went straight for the Scooby Snacks. "After the mother had departed, I sauntered over to inspect my possibly new favourite snack and meal supplement," he wrote. "At first glance I was like, nice, the 80s are coming back, but upon the second glance I noticed the key words 'PET FOOD ONLY'," Mr Woolf wrote. While the customer found the experience somewhat amusing ("maybe it was done so pet owners could shop in one convenient area for themselves and their fur child," he wrote), he did worry people may have inadvertently feasted on pooch treats. "How many people have fed these to their children without knowing? "That's excluding the fact that adults may have eaten these snacks themselves ... which would make the number of people consuming, essentially dog food, quite high." Aside from the pet food declaration, the front of the Scooby Snacks pack only says the biscuits are individually wrapped in "doggy bags". You have to turn over the pack to see a note saying "treat your pet as you train them." The product is shaped like dog bones and the packaging says they are designed to "support skin and coat health". The ingredients seem harmless enough though, mostly consisting of wheat flour, margarine, carob, oats and milk. Parents in New Zealand also fell foul of the sneaky snack. 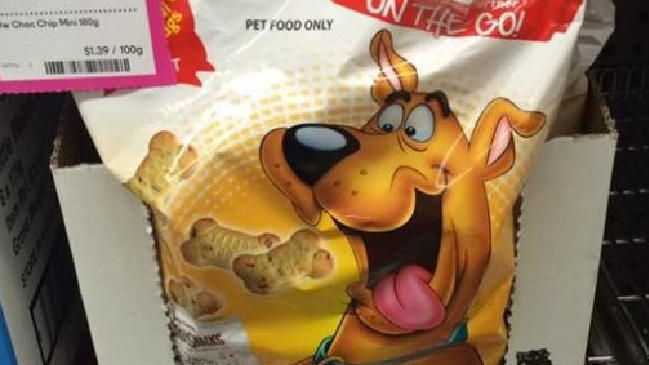 In June, schools and kindergartens in Whanganui were asked to be on the lookout for Scooby Snacks after the local supermarket put the doggie treats next to the chips, reported the Whanganui Chronicle. One mum said her daughter turned her nose up at the biscuit. "She took one bite and said, 'this is rubbish'. The supermarket had said the products ended up in a 'value' section of the supermarket with products from different categories all sticked together.